1991 B.F.A. (Applied Art) with "First in the Order of Merit" from Govt. School of Art, Aurangabad. Presently working as a Teaching Faculty of Sir J. J. Institute of Applied Art, Mumbai. 2007 Time and Space, art Gallery, Bangalore. 2006 Jehangir Art Gallery, Mumbai. 2005 Legacy Art Gallery, Mumbai. 2003 Bajaj Art Gallery, Mumbai. 1999 Sir J. J. Institute of Applied Art, Mumbai. 2007 Indraprastha Art Gallery, New Delhi. 2006 Legacy Art Gallery, Mumbai. 2006,05,04 The Bombay Art Society. 2006 Camelart Foundation 9th Western Region Exhibition Professional category. 2006,04,02 'Chatak' a Monsoon show organised by Nehru Centre Art Gallery, Mumbai. 2006,05,04,03 Annual Members' Show of Artists Centre, Mumbai. 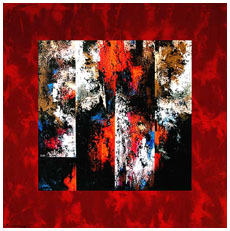 2006 to 1994 Maharashtra State Art Exhibitions, Professional Category. 2005,04,03 The Art Society of India. 2005,03 Lokmanya Tilak Art Exhibition, Pune. 2005,04,03 Annual Monsoon Show by Bajaj Art Gallery, Mumbai. 2003 The Hyderabad Art Society. 2003 South Central Zone Cultural Centre, Nagpur. 2003,02 All India Fine Arts and Crafts Society, New Delhi (Maharashtra State Exhibition). 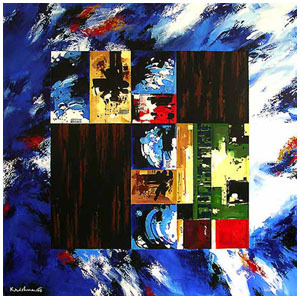 2006 Maharashtra State Art Exhibition Professional Category. 2001,1999 National Literacy Mission, New Delhi. 2000 Municipal Corporation of Greater Bombay. 1998 Maharashtra State, Department of Health Services. 1998 The Hindustan Times, New Delhi. 1997 Maharashtra State Art Exhibition Professional Category. 1995 National Open School, New Delhi. 1991 GOLD MEDAL in National Youth Festival held at Madurai Kamraj University. 1991 GOLD MEDAL in Zonal Youth Festival held at Banaras Hindu University.